Why did we dine here? 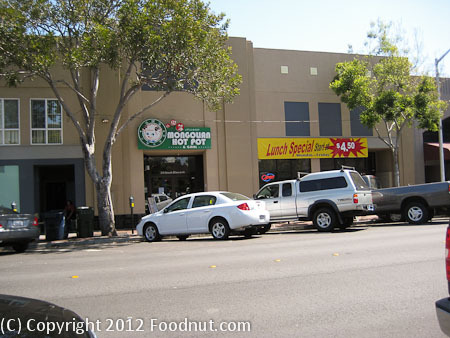 – Turtle Tower is a popular Vietnamese restaurant in San Francisco with several locations. Hà Nội Style Vietnamese Cuisine is their focus. We dined at the original, located in the heart of the gritty Tenderloin District of San Francisco. It moved down the block and reopened in June 2013 and added banh mi sandwiches. Our last visit was in February 2014.
Insider Tip – Bring cash. Go down the block and purchase some other Vietnamese food. Service – Turtle Tower had typical service for a mom and pop joint. The place is bigger now and you will probably need to hail down servers to get things done like the bill and getting refills. Verdict – Turtle Tower serves up inexpensive bowls of quality Pho. We found the Pho satisfying but not the best in the San Francisco Area. This original location is renowned by many to be their best location. We have found that Ben Tre in Millbrae and Pho Ao Sen in Oakland have better Pho. Turtle Tower’s Menu includes many Pho dishes along with a variety of other entrees and appetizers. Pho Tai Gau ($7.80 large) Rare and Well-done Beef (Flank or Brisket) Noodle Soup was a classic bowl of piping hot noodles along with tendor beef. This definitely hit the spot although a recent version at Tamarine was even better, albeit at almost double the price. Their soups are served without bean sprouts, basil, and hoisin sauce, North Vietnam style. A lime accompanies it. Pho Tai ($6.50 small) Rare Beef Noodle Soup had a fairly bland broth and some wide noodles. They lack the robust flavor and star anise hints, the better places have. The beef was a fairly thick slice, but average beef quality. Phở Bò Ðặc Biệt ($7.50 small) Combination of Rare Beef, Tripe, Well-done Beef Noodle Soup was full of different parts. A cheap $1 upgrade from the basic Pho Tai. Worthwhile if you like tripe and some well done beef. Same bland broth. Pho Ga ($6.50 small) Chicken Noodle Soup – was their most popular dish. It features fresh free-range chicken. A steaming hot bowl of the same rice noodles topped with chicken that still had bones and skin. Che Ba Mau ($2.95) Three Color Bean Dessert – was a bit sweeter than most, and it also possessed lots of firm beans.